Maine Chance stallions once again rose to the occasion at Turffontein’s Guineas meeting, with their respective progeny accounting for two of the four graded stakes on the card. The sophomore colts division has a new poster boy in the shape of Querari’s ultra-talented son Monks Hood. Trained by Alistair Gordon, the Wilgerbosdrift colour bearer rose to the top of the three-year-old division when he destroyed his rivals in the mile classic, coming home in splendid isolation to score by the best part of six lengths. 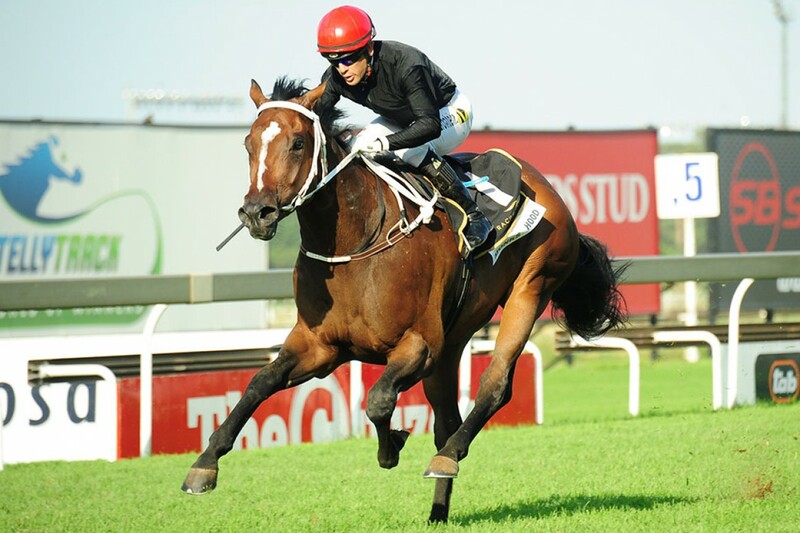 The victory completed a notable hat-trick, which started with a fluent win in the Gr.2 Dingaans. South Africa’s newest star was bred at Benmarné Stud, who will offer his yearling full brother at the National Sale in April. Silvano was not to be outdone either, the champion accounting for no fewer than three winners on the card, prime amongst which the thrilling victory by four-year-old daughter, Simply Royal, in the Gr.3 Acacia Handicap. Owned by Sheikh Khalifa’s Al Adiyaat, the regally-bred filly forged ahead of her rivals inside the final 100m to take the mile race by a half-length, with Vanessa Harrison’s homebred Sylvan On Fire making it a one-three for Silvano. Bred at Ascot Stud out of Al Mufti Gr.1 winning juvenile Royal Fantasy, Simply Royal is an own sister to Royal Crusade, who barely an hour later, added to the family fortunes when finishing third in the Gr.2 Gauteng Guineas. Our champion narrowly missed out on classic success when the partly Maine Chance-owned Silver Thursday was outgunned by no more than a neck in a heart-stopping finish to the Gr.2 Gauteng Fillies Guineas. Having led from virtually the top of the straight, the chestnut tenaciously held on to her advantage until caught in the shadow of the post by stable companion Takingthepeace.